It’s back! Just in time for Valentine’s Day, Doritos Ketchup Roses are making its grand return due to popular demand. 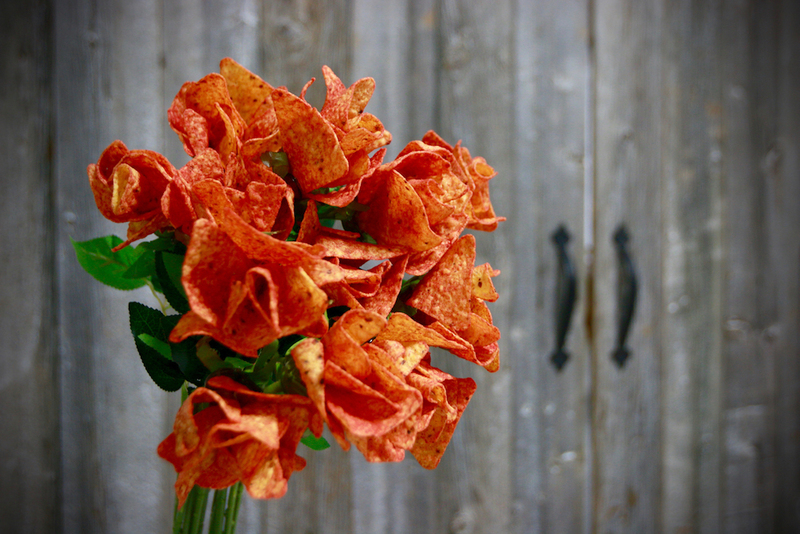 As lovers everywhere look for profound ways to boldly declare their utmost devotion to that special someone, Doritos is offering the only gift worth giving: an elegant bouquet of 12 long-stem roses, hand-crafted with tangy Doritos ketchup chips. The exclusive bouquets are available for a limited time and limited quantities can be ordered and hand-delivered in Toronto, Vancouver and Montreal. As of Monday, February 6th, Canadians can place their order for Doritos Ketchup Roses on doritosketchuproses.ca.